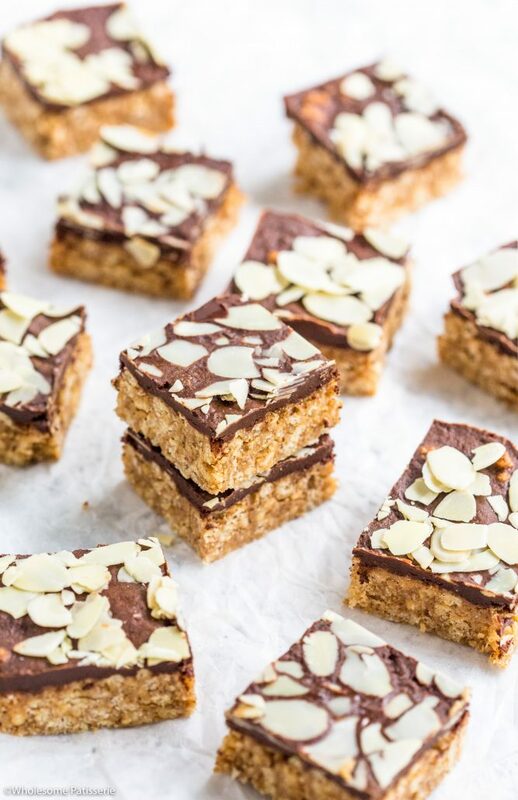 It’s nearly the weekend and I hope I get you inspired to get baking with these Almond Butter Crispy Chocolate Bars! Seriously, this recipe is really, really delicious! 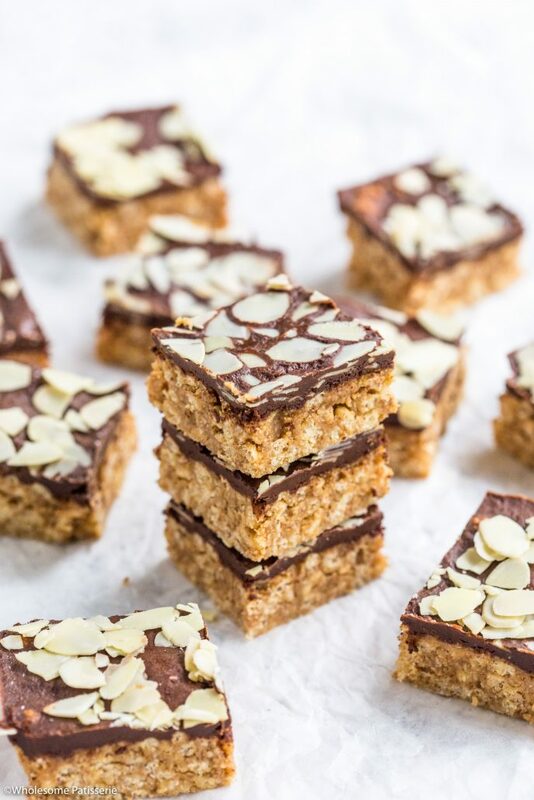 This is a no-bake, gluten free and vegan slice. So this is going to appeal to so many of you, I hope! 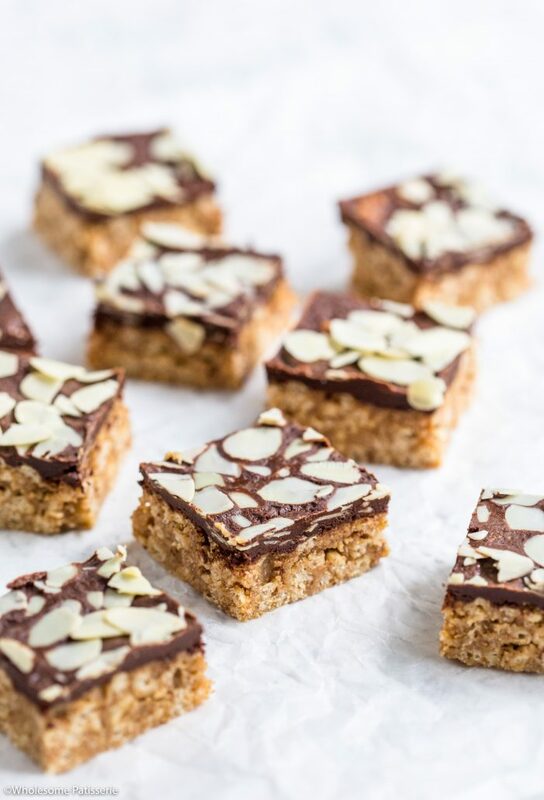 The base is a crunchy almond butter texture, really yummy, the topping a simple made from scratch soft chocolate topping. 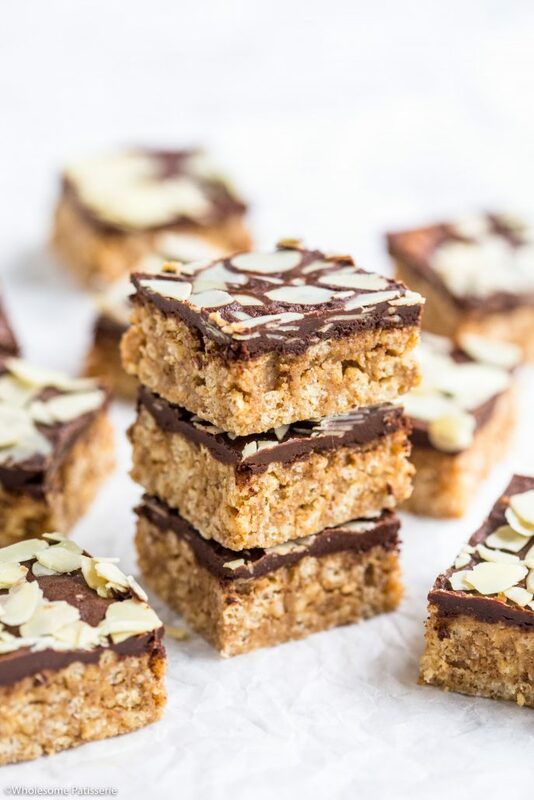 I usually go for the melted dark chocolate block but for this recipe, a softer chocolate topping is fantastic! Are all those attributes enough to win you over? I bet they’re! 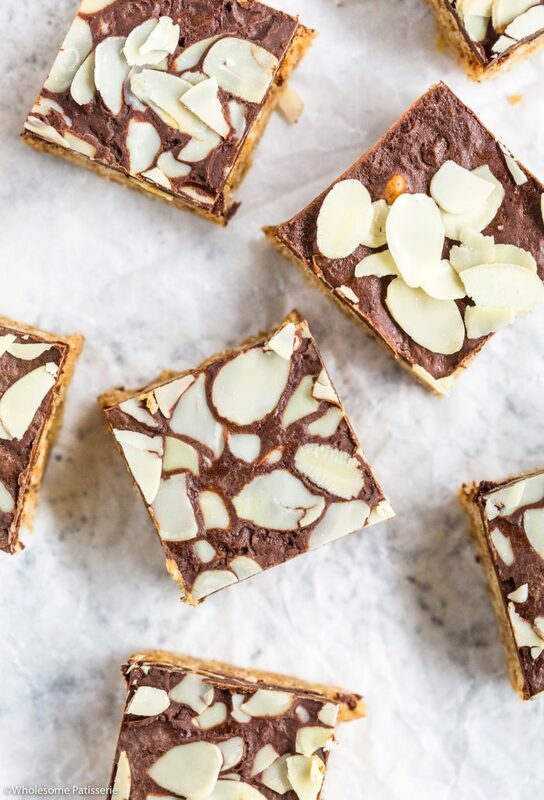 I’ve been snacking on this almond crispy slice all week, even choosing it over my carrot cake loaf I shared with you earlier in the week, hard to believe? 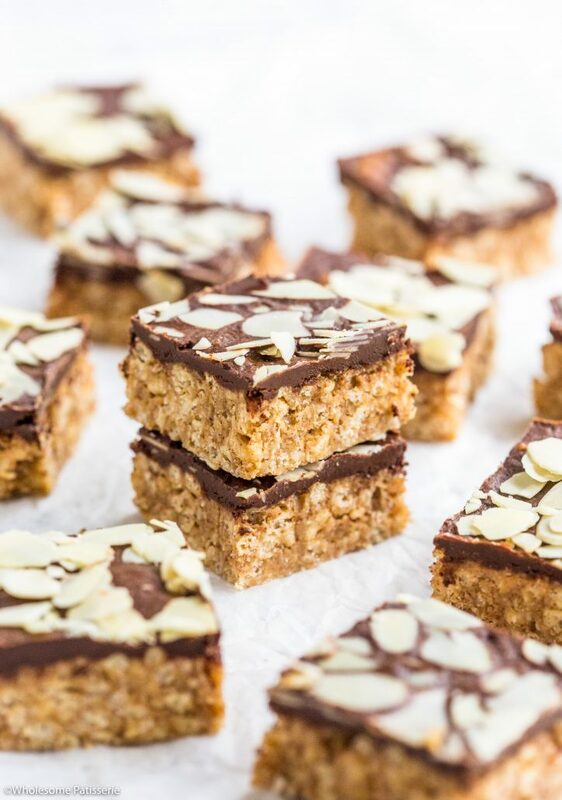 Well once you get your hands on a slice of these bars, you will know exactly what I’m talking about! Ready to give it a try? Hope you enjoy and have a wonderful weekend ahead! Line a 8” x 8“ square baking pan with parchment paper, set aside. In a medium sized pot over low-medium heat, add almond butter, maple syrup and coconut oil, mix to combine. Gently heat mixture until almond butter has completely melted down and smooth. Add rice puffs 1 cup at a time, mixing well after each addition. Pour mixture into lined baking pan and place in the refrigerator. Make topping whilst base is setting. Add coconut oil and melt down. Once completely melted, stir through maple syrup and cocoa powder until well combined and smooth. Refrigerate for a further 1-2 hours or until topping has firmed up. Half way through refrigerating, just as it’s starting set, sprinkle over flaked almonds. Remove from pan and slice into squares. tore in an airtight container, refrigerated, for 1 week - 10 days.